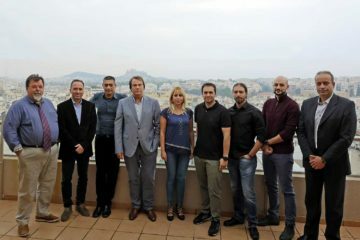 OET participated the Photokipia Kick-Off Meeting which took place at Divani Caravel Hotel, in Athens, on October 23rd, heralding the official start of this exciting project. Photokipia is a national project for “Semitransparent Organic and Printed Photovoltaics for Energy Efficient Mediterranean Greenhouses” with Nanotechnology Lab LTFN as its coordinator. © 2018 Organic Electronic Technologies P.C.